Covering wide-angle to telephoto perspectives, this lens is designed for DX format Nikon F mount DSLRs and provides a 27-300mm equivalent focal length range. 18-200mm f/3.5-6.3 Di II VC Lens for Nikon F is rated 4.6 out of 5 by 60. Rated 5 out of 5 by Olchie from Love it! I love this lens! I was looking for a lens for my trip to Machu Picchu and didn't want to carry my 18-55 & 55-200 Nikon bundle. Hesitant at first, i decided to take the risk and purchased it. It was the best decision i made for the trip (well, besides the decision to visit MP, of course). It's an universal lens, i could make landscape photos as well as zoom in when needed. The colors turned out beautiful and pictures are very sharp. I think i got even better results with Tamron than with Nikon...... The only thing Tamron was not so good at is macro photography, but on the other hand - i had no grandiose expectations, it's not a macro lens. Overall, i highly recommend this product. It's perfect for travel and instances where you need to change between wide angle and telephoto. And the price will not bankrupt you either. Rated 4 out of 5 by Mo the Fan from Great replacement for my damaged 18-55 mm kit-lens Ever since discovering that my D5100 kit lens had developed fungus inside due to an extended period of no use, I was on the lookout for a more versatile lens to continue my initial foray into photography. Limited to a very few lenses due to my small budget and since none of my photography was going to be anything more than a casual hobby, I decided to get this new Tamron lens which not only replaced my kit-lens, but also gave me extra zoom for any new experiments on my holiday in San Francisco. I've used this lens on my weekend walks around town and found it to be more than apt. It has a really good range, focuses fast in adequate light and comes with a hood which has helped keep out the sun interfering with my shots. Its almost identical to the Nikon 18-55 kit lens in weight and dimensions and snugly fits into my top-loading Lowepro camera bag. The VC on this lens is good and I've not had any problem of blurry pics at zooms around 200 mm. I'm highly satisfied with my purchase and would definitely recommend it to any casual photography enthusiasts out there looking for some extra zoom or those looking to replace their kit-lens with a not-so-expensive alternative. Rated 3 out of 5 by rma_uma from good lens for the money... but to make things clear: I am not a professional photographer, however I've been enjoying photography for the past 6 years, and I am an advanced user. I use the Nikon system and I love the versatility zoom lenses give you. I only use cropped sensors so I have owned over time 3 mega zooms, the Nikon 18-200, the sigma 18-250, and now recently the Tamron 18-200mm f/3.5-6.3 Di II VC. I have mostly used the lenses just for travel photography. I even pre ordered the lens and just got it in time for my trip. At $250, it is a good lens for the price here is the good: Very light lens, easy to use, very good zoom range, focus speed is adequate here is the bad: It is a soft lens (softer than the Nikon and sigma) Pictures have a bluish cast to them overall it is a good lens, and with a $250 price tag, it is difficult to ignore, most people will not see difference. Rated 5 out of 5 by Tink from Exactly what I waslooking for!! this is a keeper. I now use my Nikon D5000 much more now than I did since I don't have to change lens so often. I was using my point shoot when taking shots of my grankids becaue of having to change lens. it's never a easy job changing lens with small kids all around. Very good image quality might not be as good as a Nikon lens but to the lay person they will be more than pleased. Rated 4 out of 5 by Daniel Hua from Great Lens for an all-in-one solution. Nice Price Too. Like many Nikon users I had the 18-55mm and the 55-200mm lenses for my D5500. After a while I got fed up with having to take two lenses. I sometimes made the wrong choice of taking one or the other on hikes. I saw this Tamron 18-200mm and the price and performance looked well in the online reviews. Upon receiving it I loved the metal construction of how it felt. It was bit hefty but weighs less than carrying two lenses and bags for them. It came well packaged with all the manuals and with a free lens hood which is a great. All in all, the performance for me is great. Not the fastest lens but works well. The auto focus can take some effort to do its job but not too bad. The lock switch is great to prevent it from creeping when you're walking or hiking. The VC feature is nice and really does make difference when you decide to shoot a steady shot but obviously wont replace a tripod. I have been using this lens for about 3 months and it has made it possible to take my camera everywhere. I did buy a filter to protect the front element. Really see myself keeping this lens for long time. Also, the GorillaPod SLR will hold up. Rated 5 out of 5 by Anonymous from Just got this lens Aug 25 I just got it and didn't have time to take a lot of shots. I did both inside with flash and outside landscapes. I was well pleased with what I saw so far. I will update later as I have time to take more shots. It feels a bit heavy but think that is normal after being use to the standard lens. It seems well constucted and did not feel or look cheap. so far I am happy with my purchase. Rated 5 out of 5 by Matt from Terrific lens for a terrific price As an amateur photographer, this lens is exactly what I need and want - it does everything well and the vibration control is terrific, even if it tends to drain the battery. For travel photography, it's a one-stop-shop and produces great quality images at all focal lengths. After cleaning up the images in Lightroom, the images were nearly indistinguishable from my old Nikon lens (which only went up to 135mm or so). The only negative is that when zoomed in with short depth of field, some of the things in the background take a round kind of shape, but I doubt this slight effect would have any impact on any non-pro's photography. Rated 5 out of 5 by Bryan from Update to previous review. I bought this lens specifically for a trip to Scotland. It is the only lens I used on the trip. Glasgow, Edinburgh and Stirling. It was absolutely perfect given its price point! When compared to a lens with a hefty price tag, of course it falls short. But not much! It allowed me to carry a small bag that fit it attached to a d7000. This was nice as I also needed a small backpack for other items since trains and walking were our modes of transportation. Bumped around a little and still as good as new. Absolutely cannot go wrong with this lens! Will this be 18-200 on a Dx format camera( D5000) or is it 28-300? the wording is confusing?? This lens provides an equivalent focal range of 27 - 300 mm when used on cameras with APS-C sized sensors. Is it compatible with Nikon d5100 ?? Yes, this lens is compatible with the Nikon D5100. Will this work on the Nikon EOS 70D? Does lens have plastic mount? Does this lens have a macro feature? No. A true macro lens will offer 1:1 reproduction at the minimum focus distance. 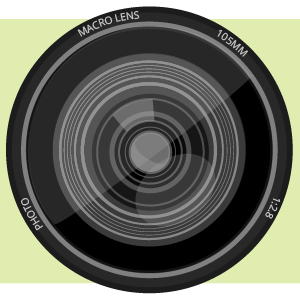 Some lenses are called macro because they have a shorter than normal minimum focus distance. This lens does not reproduce 1:1 and it's minimum focus distance is 1.61'. When used with extension tubes, the focus distance can be significantly reduced thus producing a macro effect. This lens has a Nikon mount. See here a link to the proper extension tubes. Will this lens work with the Nikon D3400 camera? Yes it will. But it is a soft lens, not very sharp. Its good for family events and kids birthdays, I would never think of using this lens for professional use. 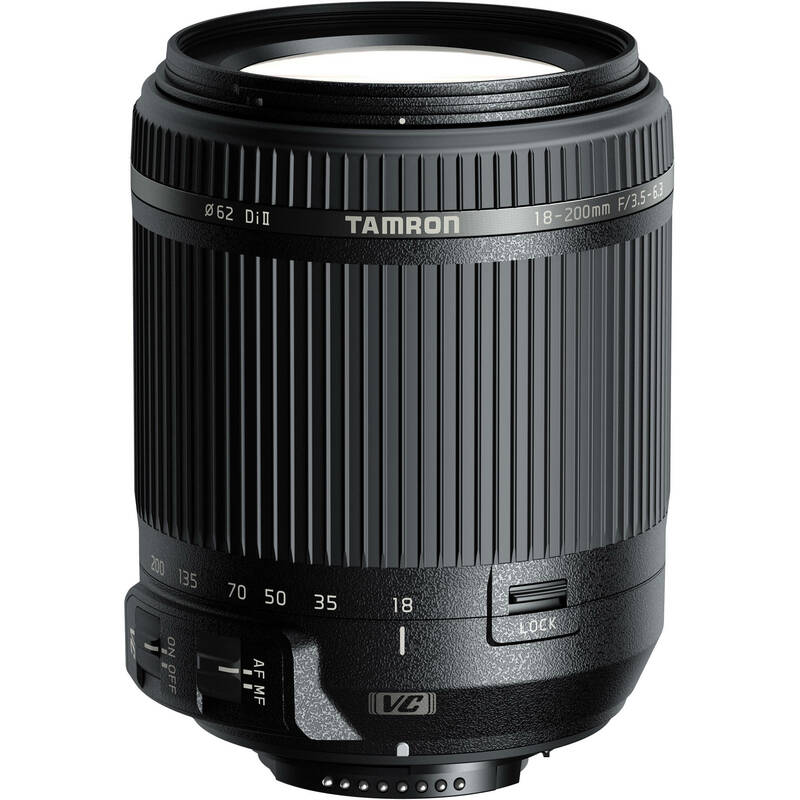 The Tamron 18-200mm lens for Nikon will be fully compatible with the D3000, yes. Will this work on a Nikon D50?